It will be a case of fastest finger first for a lot of Sky Bet Football League punters today as team news is sure to be key as most clubs play their third round of matches in eight days. Playing on Saturday and then again two days later is harsh on weary limbs, although some teams managed to bring forward their weekend fixtures which could give them an advantage. Millwall are one such side. The Lions beat Gillingham 2-1 on Friday - one day before opponents AFC Wimbledon were turned over 2-0 at Bristol Rovers in the latest disappointing result for the Wombles. Neal Ardley has done brilliantly to get Wimbledon up to 11th in Sky Bet League One considering they were among the relegation favourites but their recent efforts have dipped below their earlier standard. Wimbledon have lost four of their last five matches in all competitions and their only victories in the last 14 fixtures came against Bury (twice), Curzon Ashton and Port Vale. Millwall are bound to be backed by a large away following given it is only a short trip to Kingsmeadow and those visiting fans could be roaring on a fourth straight Lions success. Neil Harris must still be disappointed to be only ninth in the table given the talent in his squad but last season's playoff finalists have rarely been able to get their best 11 on the pitch. 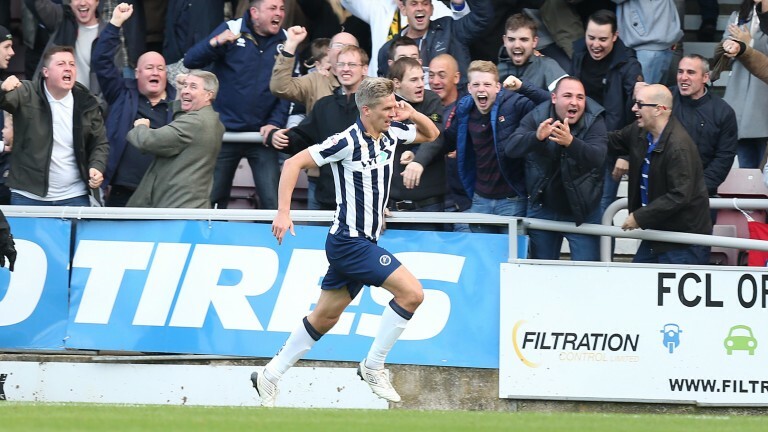 Deadly strike duo Steve Morison and Lee Gregory have recently returned together and that has coincided with this hot spell either side of Christmas. Millwall have won six of their last seven matches with the pair in tandem, while centre-back Shaun Hutchinson is also back after missing large chunks of the campaign. The Lions have triumphed in five of the six games Hutchinson has started while the only defeat came at high-flying Scunthorpe. On shot-ratio statistics Plymouth would be only tenth in Sky Bet League Two but Argyle seem able to overcome an average share of match attempts. The Devon outfit are top of the table and can keep their status of league leaders after their game at Barnet. Doncaster and Portsmouth pick up most of the plaudits but Plymouth keep winning and there is a remarkably similar feel to this division to last season. Then it was Oxford and Pompey dominating possession and shot stats but champions Northampton lifted the trophy by a 13-point margin. There is nothing overly flashy about Plymouth, who just get the job done with a well-organised rearguard and a creative spark from Graham Carey who often makes a telling difference. Argyle have scored only 16 away goals but have won eight of their ten road encounters due to a solid defence who have conceded just seven goals. Derek Adams saw his side comfortably beat Crawley 2-0 on Saturday and this game is far enough ahead of Sunday's FA Cup trip to Liverpool for the players' minds not to drift towards thoughts of Anfield. Barnet won the reverse fixture 2-0 at Home Park and are having a decent campaign given their budget, lying tenth, but Martin Allen quit the club at the start of December to join National League Eastleigh. The Bees have since beaten Yeovil and Cheltenham on their travels - two teams in sticky spells - but they were deservedly beaten 3-1 at Luton on Saturday and also lost 2-1 at home to Stevenage. Big John Akinde is lethal with 17 league goals in 23 appearances but nobody else has more than four and Plymouth should be confident of maximum points, even if they don't dominate the shot statistics.